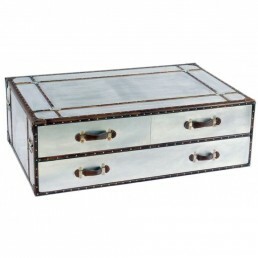 This industrial chic, vintage style collection is in dull silver with warm highlighted squares of copper and bronze - Buy online - UK stock - Quick delivery. 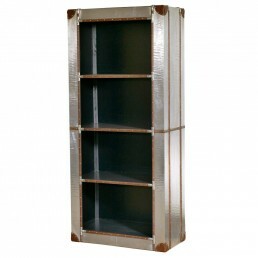 Industrial chic, vintage style book case 3 shelves. 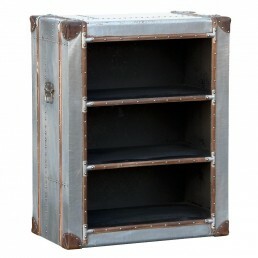 This steampunk furniture is covered in a dura..
Industrial chic, vintage style bookshelf . 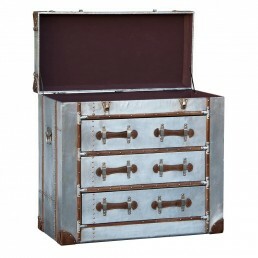 This steampunk furniture is covered in a durable alumi..
Industrial chic, vintage style chest of drawers with opening top.This steampunk furniture is cove..
Industrial chic, vintage style media unit with 2 lovely shelves and 2 drawers. 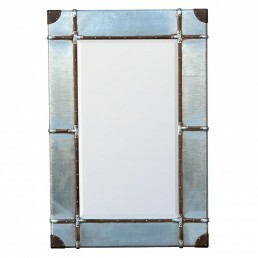 This steampunk fur..
Industrial chic, vintage style wall mirror. 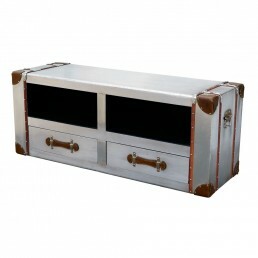 This steampunk furniture is covered in a durable alum..
Industrial chic, vintage style coffee table with 3 drawers. 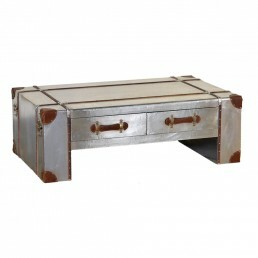 This steampunk furniture is covered i..
Industrial chic, vintage style large coffee table with 3 drawers. 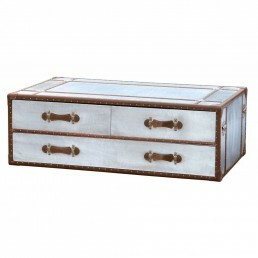 This steampunk furniture is cov..
Industrial chic, vintage style coffee table with three drawers. 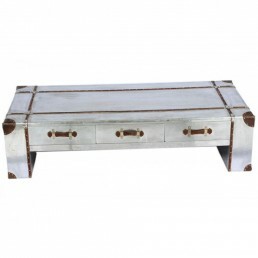 This steampunk furniture is cover..
Industrial chic, vintage style Z table.This steampunk furniture is covered in a durable aluminium..
Industrial chic, vintage style coffee table with 2 drawers. 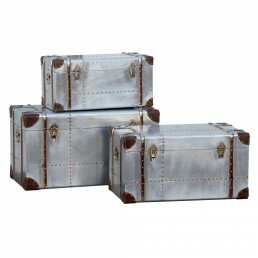 This steampunk furniture is covered i..
Industrial chic, vintage style beautiful trunks set of 3. 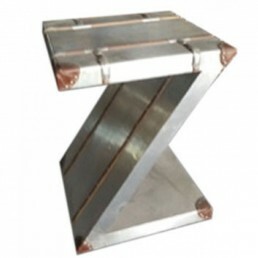 This steampunk furniture is covered in ..